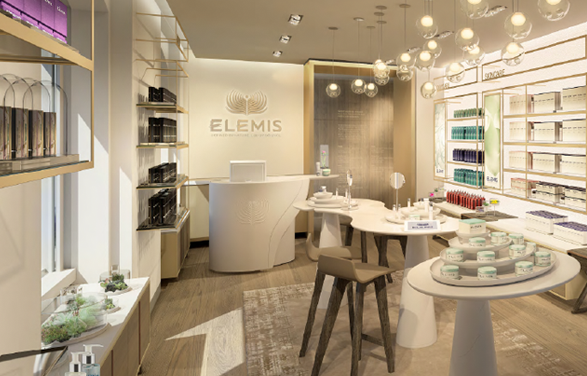 Launched originally as a London ‘day spa’ in 2001, the House of ELEMIS is located in a spacious Mayfair townhouse in central London. It’s tucked away in Lancashire Court – I’d forgotten what a tranquil little mews this is – which is also shopping heaven: with a Jo Malone around the corner, and Fenwicks department store a short stroll away. You’re also only five minutes from the hurly burly of Oxford Street, although it feels like a million miles away. On arrival I took a seat in the reception area, which is also the shop front, and was offered a pot of herbal tea. A couple of ladies taking a break from a shopping trip came in for treatments, there were also smartly dressed local Mayfair employees – I got the impression they were regulars. 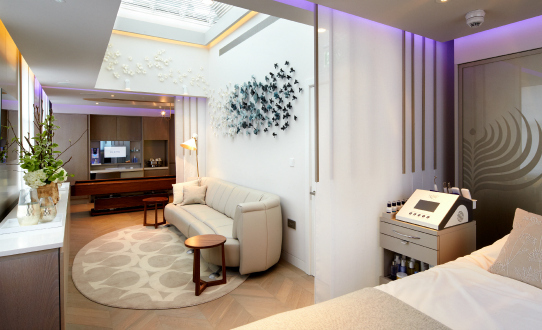 House of ELEMIS feels like somewhere you would visit regularly if you worked nearby, and besides The Penthouse and other treatment rooms, there’s also The Speed Spa for those with limited time. 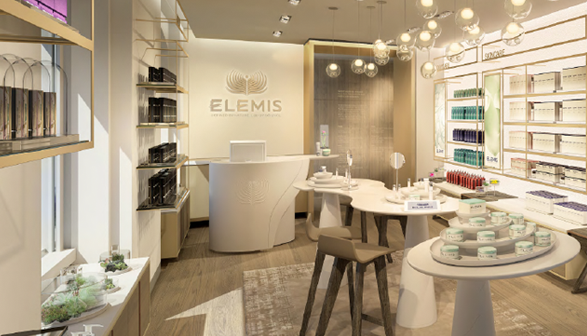 House of ELEMIS had a major refurbishment in 2015, supervised by fashion stylist Bay Garnett. My treatment took place in The Penthouse on the top floor, which is a lovely bright and airy space with a glass skylight. I explained to my therapist that I suffered from the classic desk worker’s tense neck and shoulders, and that I was also looking for a deeply moisturising treatment. As I get older my skin needs more hydration and I hadn’t felt ready to bare my limbs yet, despite the increasingly warm weather. Post-treatment back downstairs, I was offered water and a shot glass with grapefruit-based juice which was delicious. 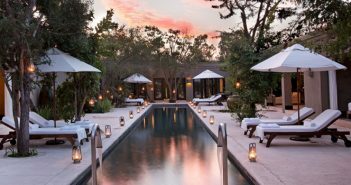 Relaxed, hydrated and with my skin moisturised to the max, I went back out into the mews courtyard, making a mental note to not leave it so long before returning to this lovely spot.